Kite downwind adventure in the Caicos Cays. Kite safaris and downwinders are an incredible experience for seasoned kiters. There are so many exquisite and secluded locations to explore. Setting up for a downwind kite adventure near North Caicos. For weather predictions, see Wind, Waves and Tide Forecast. Kite safaris are activities where kiteboarders launch from an upwind location and kite to a different downwind location. 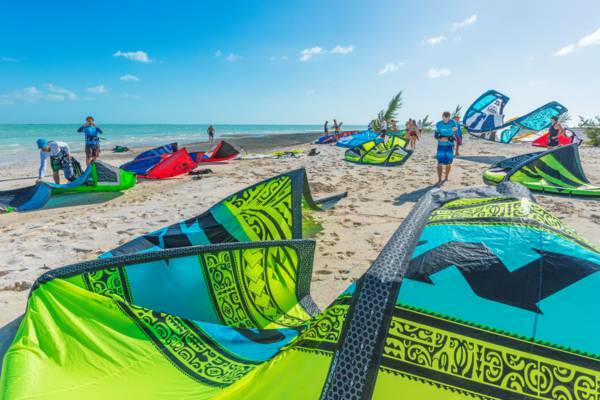 Downwind kite trips are popular with both locals and visiting kiters, as the Turks and Caicos is an exceptional destination for the activity. The Caicos Islands offer a tremendous collection of cays and shallow sounds to explore, all of which teem with marine wildlife. Downwind adventures are typically not a scheduled activity, especially in the case of chartered boats providing transport to the starting point, so trips are usually custom and exactly tailored to the group and weather conditions. We generally advise that kite safaris are done with a guide familiar with the area, as it’s easy to miss the destination beach or get lost in our extensive wetlands. Some routes are also very dependent on wind direction, and require local experience for proper planning. Kite safaris usually either start with a boat trip to an upwind location, or a launch from Long Bay Beach, with transport by land afterwards back to the start point. Many downwind kite adventures either start or end at Long Bay Beach. The beautiful Long Bay Beach on Providenciales is one of the top kiteboarding spots in the Caribbean due to the consistent wind, shallow water, and clean sandy ocean bottom. One of the easier and shorter downwind safaris is the 4.5 mile (7.2km) excursion from Long Bay to the upscale villa region of Turtle Tail. One important thing to note is that much of the coastline on the south coast of Providenciales is low limestone ironshore cliff. Turtle Tail is one of the few stretches of sand between Long Bay and Five Cays, so you don’t want to miss the beach. Between Turtle Tail and Five Cays, there’s only a small beach near South Side Marina and a very small patch of sand at Cooper Jack Bay Beach. A bit longer of an adventure is to kite from Long Bay Beach to the beach at the fishing settlement of Five Cays on Providenciales. This 9 mile (14.5km) route offers a bit more in the way of sights, and the typical end destination of Bugaloo’s Restaurant is a great place for to get food or refreshments after the safari. Another advantage of the Five Cays route is that it’s easy to arrange taxi transport if needed, as there should be no confusion with Bugaloo’s as a pick up location. Sunset kite sessions can be amazing! Another popular downwind kite route is to launch from near Bellefield Landing at North Caicos, and kite through the cays back to Leeward or Long Bay on Providenciales. The common starting point is a shoal cay near Bellefield Landing that’s south of Parrot Cay. The route typically follows the south side of Parrot Cay, Dellis Cay, Fort George Cay, Stubbs Cay, Pine Cay, Water Cay, Half Moon Bay, and finally, Little Water Cay. Kiters usually then land at Emerald Point at Leeward on Providenciales. The sights on this journey are incredible. There’s shallow and turquoise water, the occasional stingray, nurse shark and turtle, and beautiful wetland and lagoons. The distance of course varies depending on how much exploring is done, but begins at about 8.5 miles (14km) for a relatively direct trip. 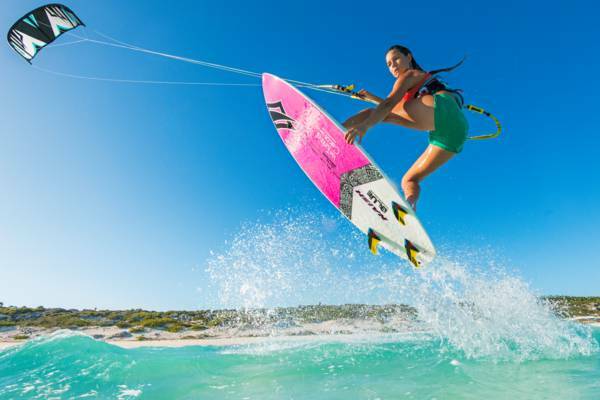 The North Caicos to Providenciales trip is perfect for skilled kiters looking for a change in scenery. Not to be undertaken lightly, a kite expedition across the Caicos Banks from South Caicos to Providenciales is unforgettable. This trip is a minimum of 44 Miles (70km), yet can easily be double that in actually travel distance due to tacking and following the island coastlines. Kiting from South Caicos to Providenciales in good conditions takes 4-8 hours of pure kite time on the water, not including boat transit times, set up, or lunch. 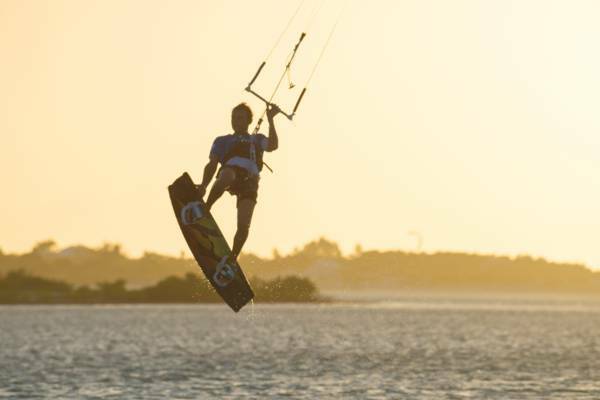 It’s a rewarding experience, yet quite exhausting, even for proficient kiteboarders. 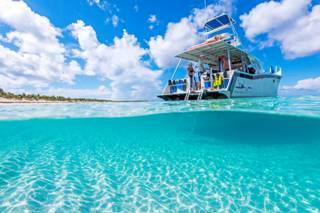 Established in 1997, Big Blue Collective has spearheaded minimum impact eco-tourism in the Turks and Caicos. Offers diving, kayaking, kiteboarding, paddle boarding, hiking and bike eco-tours, snorkelling, and charter cruises. Last reviewed by an editor on 1 August 2018.